When I think about vocabulary instruction, I immediately picture long lists of obscure words, and a page full of sentences written to demonstrate understanding of the word. It’s hard to do vocabulary without boring worksheets and a million sentences. The kids don’t want to do it, and I neither do I! What if there was a fun way to work on vocabulary that also made remembering definitions easier? That’s where Marie’s Words steps in. It’s vocabulary practice disguised as a game! 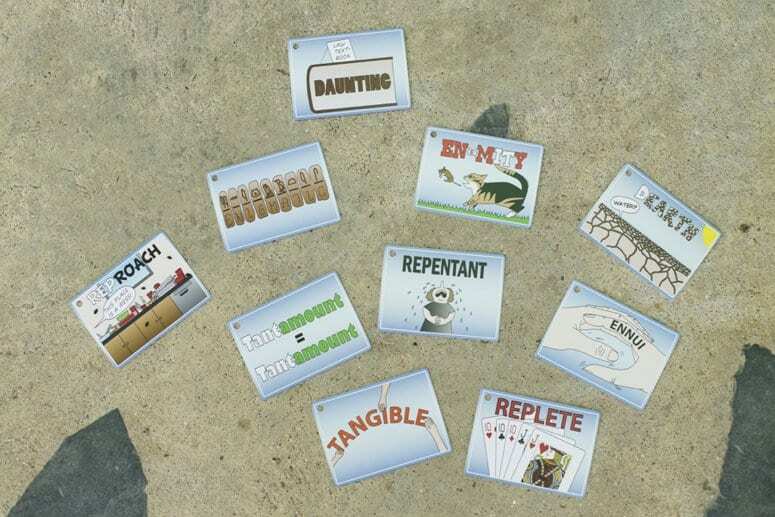 The game has 550 cards filled with vocabulary taken from the SAT® test and literature. Since people remember faces easier than names, Marie’s Words gives each vocabulary word a ‘face’ by illustrating the word and it’s meaning. Practicing for the SAT® just got fun- and those illustrated definitions make memorizing the definitions easier! 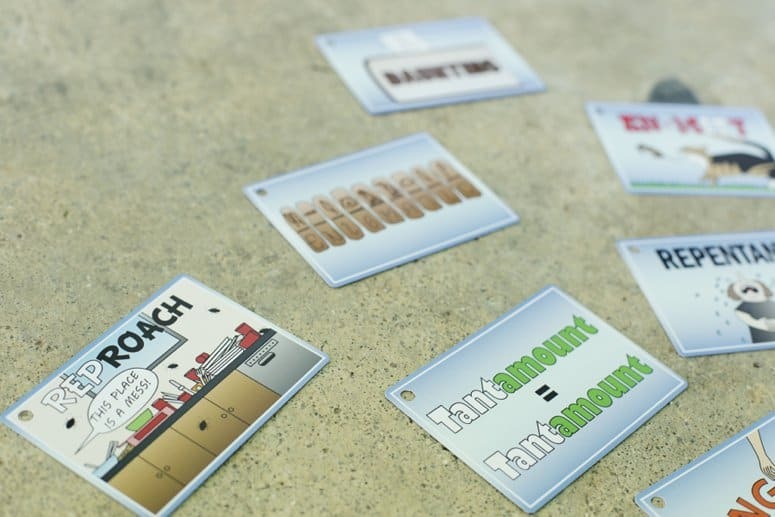 The back of each card includes the vocabulary word along with its phonetic pronunciation, definition and part of speech plus the word used in a sentence, as well as several synonyms and antonyms. Each card is also numbered according to its alphabetical order…and check out that handy hole punch in the corner. To play Marie’s Words ‘Picture Words’ game place cards (any amount you wish) illustrated side up on the table. 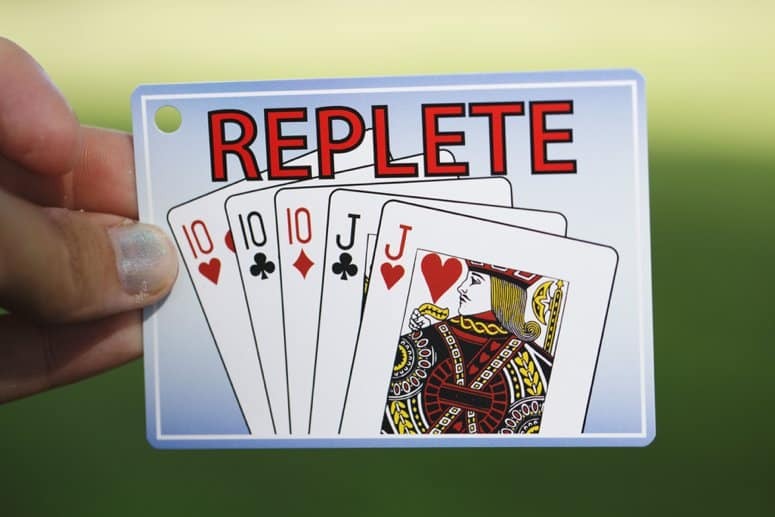 The players try to earn the most points by correctly guessing the definitions of the words using only the picture. To play the ‘Marie’s Wordsmith’ game one player becomes the wordsmith. He or she pulls a card from the box, shows the card, and reads the definition. 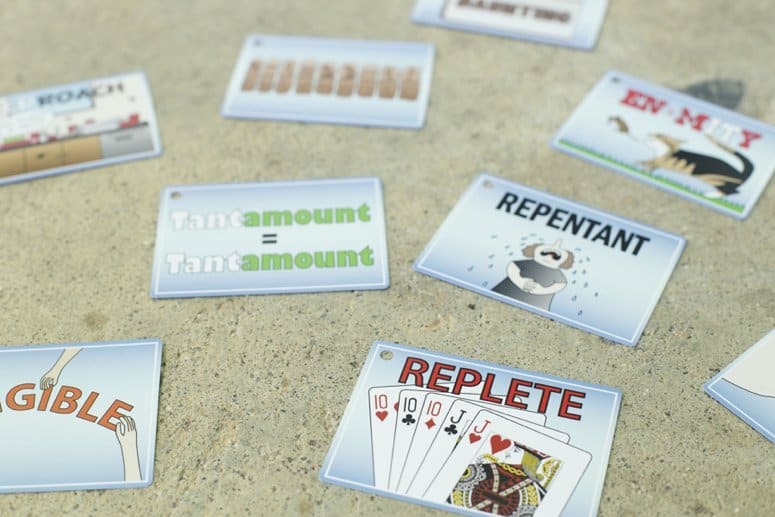 Each player writes a sentence, while the wordsmith copies the sentence from the back of the card. The sentences are then mixed and the players try to decide which sentence is the Marie’s Words sentence. 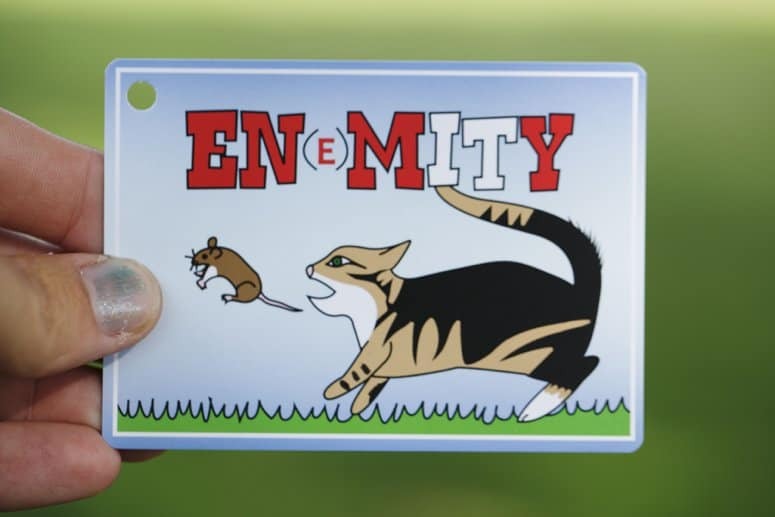 My children aren’t ready for the Wordsmith game, but we enjoy the Picture Words game. While the games are the focus of this box of cards, I also love how many other great ways Marie’s Words can be used for vocabulary practice. 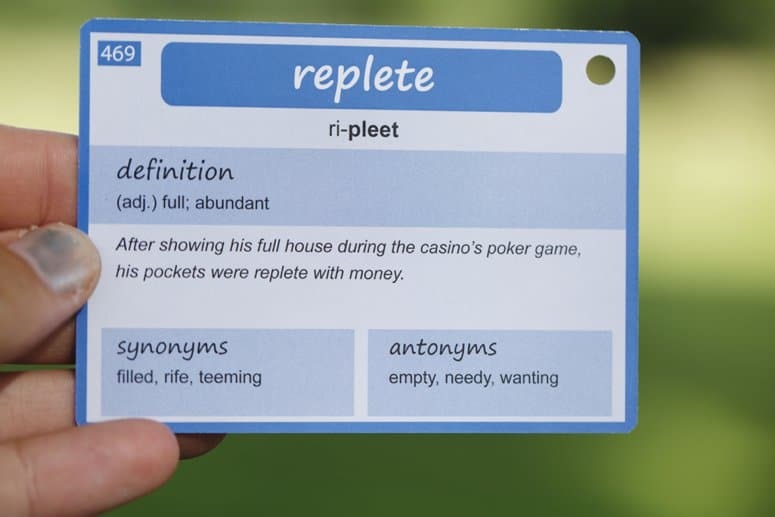 Simply study a few cards per week as a daily vocabulary assignment. My kids use binders for weekly work, so they can slip 5-10 cards on the ring right behind their assignment sheet for practice they can’t miss. No searching for the cards assigned! Or use a metal ring to hold the week’s cards. Practice alphabetizing. With the handy numbers on the back of the card, self checking is quick and easy. One more fact that makes this game really cool- it was created by a high school junior who made illustrations while preparing for the SAT® exam. 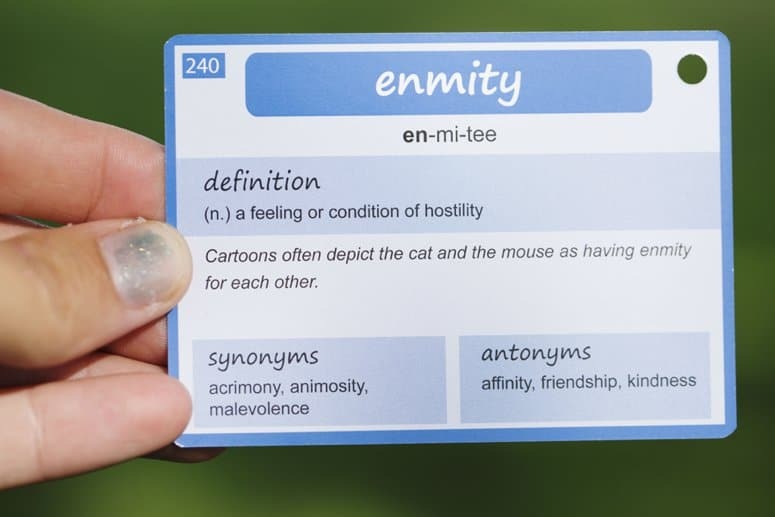 This big box of 550 cards could easily be the only vocabulary purchase needed for all your homeschooling years- and you’ll only need one box of cards no matter how many children you teach. I marked vocabulary workbooks off my children’s ‘to buy’ curriculum lists for the coming school year after receiving Marie’s Words for review! Thank you Timberdoodle for sending Marie’s Words for review. I’m looking forward to using it in our homeschool for many years to come!